Take your kids back to the '80s with this app. 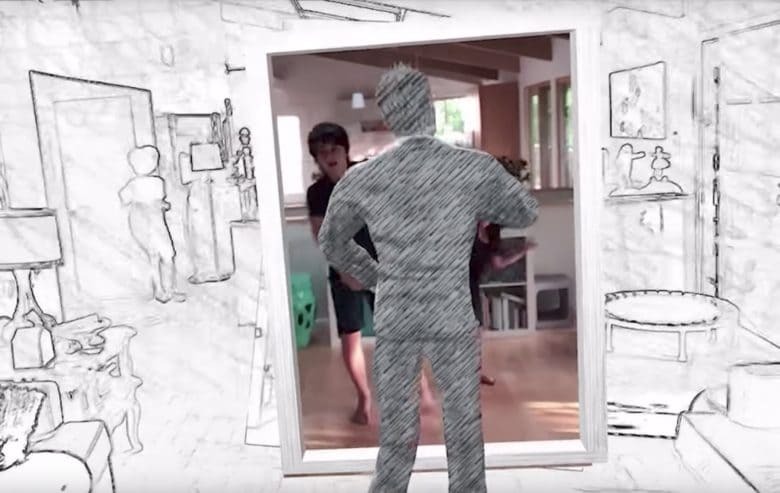 The proof-of-concept app from Trixi Studios pulls iPhone users into a hand-drawn world that reacts to your surroundings. Now you can have a full-on ’80s dance party in your living room. Trixi Studios’ app isn’t available to the public yet. However, it does show some of the cool capabilities of ARKit. Staring at your iPhone screen to see where the dance party is at isn’t exactly ideal. But just think of how much fun it could be if Apple Glasses ever become a thing.